NYPD Commissioner Bill Bratton says he will be riding the subways in the wee hours of the morning to see whether the trains are once again becoming a hothouse incubator for quality-of-life crimes. The answer, of course, is that they are -- assuming you consider begging, peddling, singing and dancing before a captive audience not just illegal but annoying. We're glad that Bratton wants to size up the issue with his own eyes. And we're heartened that the NYPD has tripled -- to 274 -- its arrests for begging and peddling in the subways during the first two months of this year over the same period last year. The subways are New York's lifeblood -- providing 5.3 million rides a day in spaces that are plenty uncomfortable already. Begging and busking make a bad ride worse. Sure, the NYPD has bigger crimes to fight. 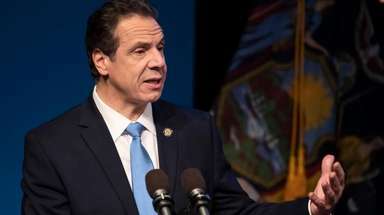 But New Yorkers have learned in recent decades that when cops fail to enforce the smaller laws, criminals get bolder, crime rates rise, chaos reigns and citizens lose faith in their government. That's important to remember as pushback builds against Bratton's quality-of-life tactics. A group called Citizens United for Police Reform has asked the NYPD to stop with the emphasis on arrests for minor crimes like trespassing and disorderly conduct. Its members compare that approach to the NYPD's former stop-and-frisk tactics. They see it as just one more way to harass residents in low-income and minority areas. But it isn't -- when done right. It's a way to keep New York safe, civil and livable for everyone. So is stepped-up engagement with homeless people -- and Bratton intends to keep on eye out for them as well on his midnight rambles. Why? Because the subways should not become a rolling homeless shelter. As the NYPD knows, people without homes need services, not all-night rides on drafty trains. The best way to maintain our quality of life is to sweat the small things -- fairly, firmly but unflinchingly.